Chilli Grey is added to the Gordon Ramsay Maze tableware collection ensuring home chefs can create the perfect setting. 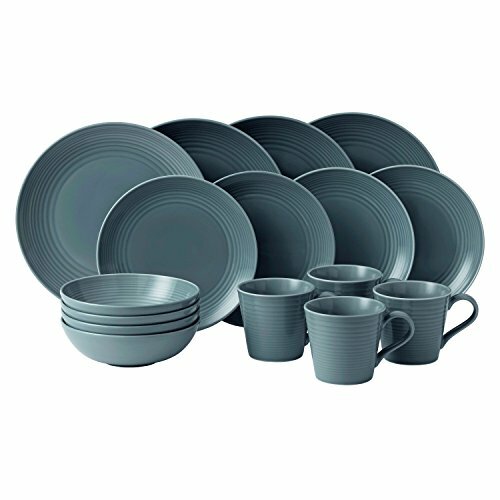 The Chilli Grey color allows a fun and zesty approach to table design and the Plate,s, bowls, mugs and serving sets can be mixed with exsisting Maze tableware in shades of white, soft blue, taupe, denim and teal, to make dynamic and very individual table settings to complement different lifestyles and home decor. If you have any questions about this product by Royal Doulton, contact us by completing and submitting the form below. If you are looking for a specif part number, please include it with your message.